On Dec. 5, the Wilfrid Laurier Golden Hawks cheerleading team won the ninth national championship in their program’s history. The Hawks’ last title came in 2016 and after a third place finish last year, the purple and gold were looking to stake their claim at the top once again. “We knew that we were gunning for first again and we had to work harder than last year. Last year was kind of a letdown. We added in more workouts, more training. We just knew we had to work harder than last year in order to win back our first place title,” Caitlyn Drexler, fourth-year cheerleader, said. Drexler was also a part of the 2016 national title winning Laurier team and she discussed what the Hawks do year after to year to maintain the program’s consistent excellence. The 2018 title is perhaps the most impressive accomplishment for the Hawks in team history, as Laurier was a part of the biggest division: the all-girl division consisting of 10 teams. 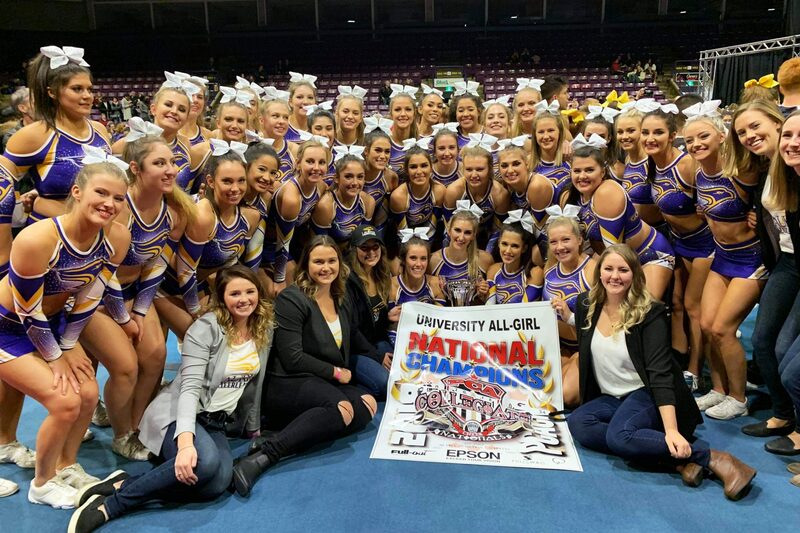 There is a big emphasis on the cheerleading program at Laurier athletics and the nine national championships are a direct result of the hard work that the Golden Hawk cheerleaders put into perfecting their craft every year. Although there is a perception amongst many sports fans that cheerleading only involves cheering on other sports teams, there is a lot more that goes on behind the scenes. “I think people just don’t understand the intensity and the skill you need to be a cheerleader. People just think of cheerleading as cheering on another sports team on the sidelines and waving the pom-poms around,” Drexler said. The work that Drexler and the rest of the cheerleaders put in has paid off big time and a ninth national title in the span of 11 years is a great achievement.